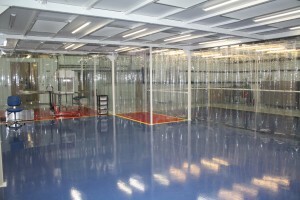 Commissioned in May 2014, the original cleanroom occupied approximately 36m2, including the equipment clean down and gowning area. This left approximately 30m2 of usable production space. 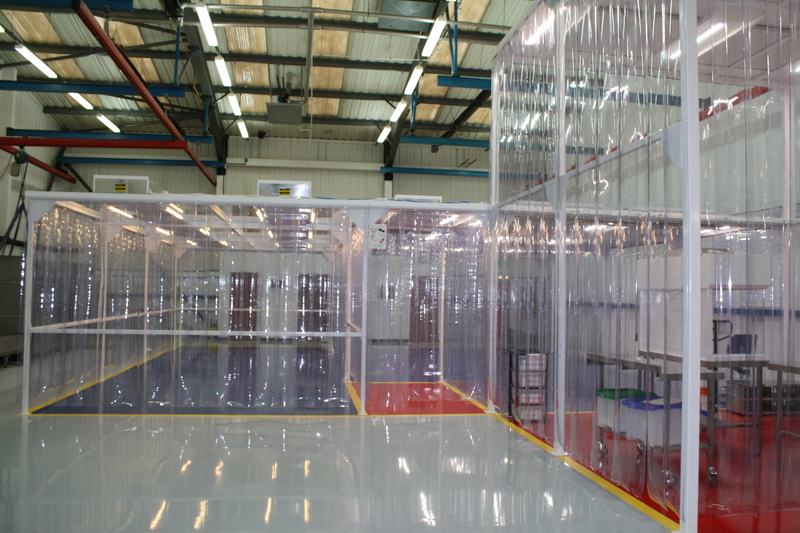 This cleanroom is now de-commissioned and in January 2016 was rebuilt and extended to give a total area of approximately 110m2. This increases the usable production area to approximately 85m2. At the same time approximately 36m2 will be upgraded to ISO6 standard. Within this area the existing ISO5 laminar flow cabinet will be located. The new 20m2 equipment clean down area will have additional headroom at 5.5m to allow for the installation of a gantry crane that will allow vessel lids to be fitted inside the cleanroom. The new cleanroom will also be air-conditioned to improve working conditions and maintain a more stable temperature environment.